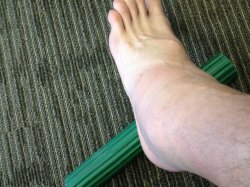 Ankle Injuries come in many different shapes and sizes... LITERALLY! They can be mild or require emergency action. Common Ankle Injuries are Inversion Sprains resulting in lateral soft tissue damage. The most common are graded 1-2 for mild to partial ligament tearing. Grade 3 sprains include injures substantial enough to completely tear ligaments. 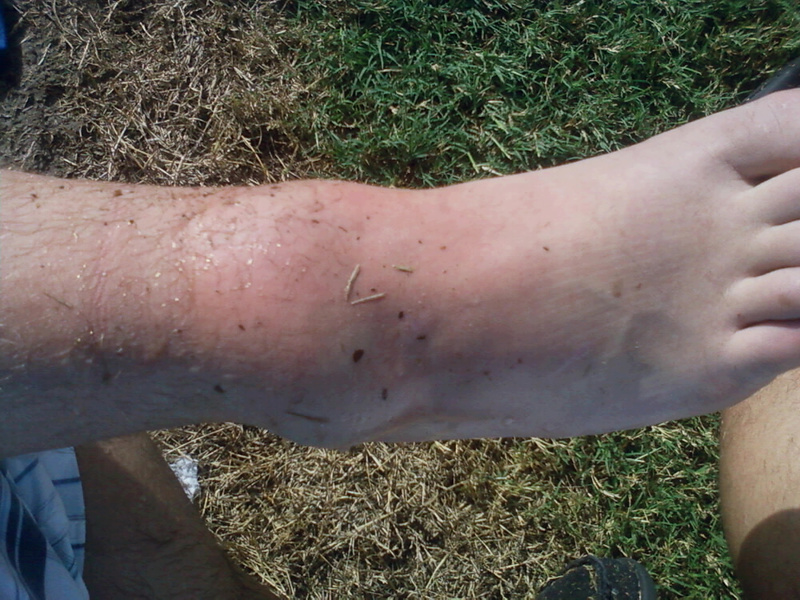 Less common ankle injuries are Eversion Sprains and the dreaded High Ankle Sprain (example seen in photo). Eversion sprains result in injuries to the inside of the ankle. High Ankle Sprains result in abundant soft tissue tearing, but the specific location of interest is the Tibio-fibular syndesmosis. This ligament is very important in keeping the Tibia and Fibula attached to one another and at the distal end, prevents the two bones from separating when weight bearing. Your ankle is a very important joint and deserves your "TLC" (Tender Loving Care). If you have injured your ankle, or suffer from re-occurring ankle injuries, schedule a consultation today.